Our discussion focuses on the Jewish day school movement in Australia, given its special place in the development of A1ustralian Jewish life. It has been justifiably described by Rubinstein as “the jewel in the crown” (The Jews in Australia: A thematic history. Volume 2 – 1945 to the present, 1991, p. 211) of post-war Australian Jewry. Although the Jewish day school system evolved to become the great success story of Australian Jewry, today it stands at crossroads, confronted by a number of challenges. How various Jewish day schools respond to these challenges, aided by rigorous and effective research, will determine how far Jewish education will continue to occupy its special and privileged status within the framework of the wider Australian Jewish community. 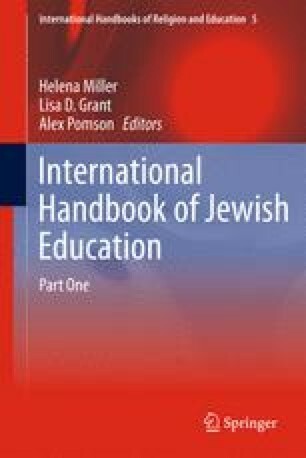 Indeed, given the scale, scope and vibrancy of Jewish education in Australia, there is an important need for rigorous, systematic and current data-based research regarding the effectiveness, as well as other aspects of Jewish day school education in Australia.